Provide your bedroom with ample storage space by adding this attractive chest to the decor. The piece carries a crisp white finish and features floral paintings as well as intricate carvings. Plus, the spacious drawers are great for keeping sweaters, jeans, blankets, pillows, towels, books and bedsheets. Simple, yet, stunning, this chest of drawers is sure to make a wonderful addition to your child's bedroom. 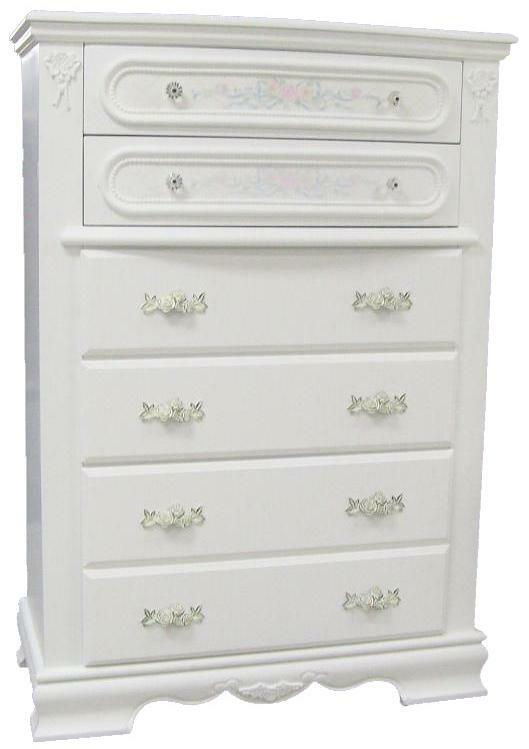 The 01660 Chest of Drawers by Acme Furniture at Michael's Furniture Warehouse in the San Fernando & Los Angeles area. Product availability may vary. Contact us for the most current availability on this product.